StoneWater offers one of the most comprehensive practice facilities to perfect your swing and sharpen skills. With the careful and expert guidance of professional instructors Ned Weaver, Director of Golf and Bob Bourne, Director of Instruction, all aspects of the game are covered. In no time, master your full swing, short game and course management. All levels are welcome. 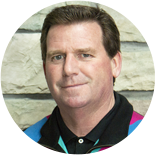 As Director of Golf, Ned Weaver brings thirty years of experience to StoneWater Golf Club. His previous management of upscale private club operations and an esteemed reputation for overseeing corporate and member golf tournaments, proceeds him. As a Class A PGA Professional, members and guests benefit from Ned’s high quality golf instruction at all skill levels. Prior to joining StoneWater, Ned held the role of Head Golf Professional at New Castle Country Club in New Castle, Pennsylvania. While on staff, he managed many aspects of the 18-hole A.W. Tillinghast course, including the golf pro shop, golf cart operation, bag and locker rooms and practice facility. He resurrected the Men’s Invitational and oversaw the Junior Golf program, as well as other corporate and charity functions. Ned also hosted Tri-State PGA and Western Pennsylvania Golf Association (USGA) golf tournaments and national qualifiers. Before embarking on a full-time career in golf, Ned played college golf at Kent State University and was named an All-American in 1977. He continued to work closely with his alma mater and coach Herb Page, serving as a mentor for local high school programs. Ned also honed his course skills as the Teaching and Touring Professional at Windmill Lakes. 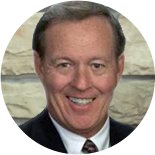 Throughout the years, Ned assumed the Head Golf Professional role at Windmill Lakes Golf Club (1982-1983), Williams Country Club (1984-1987), Montour Heights Country Club (1987-1993) and Southpointe Golf Club (1994-2004). In 2003, he was inducted into the Kent State University Sports Hall of Fame. Ned recently relocated to the Cleveland area where he now resides with his wife and sons. SInce 1996, StoneWater Golf Club has retained Bob Bourne as Director of Instruction. Bob is recognized as one of the most highly regarded instructors in the country and welcomes golfers of all ages and skill levels. View his PGA profile.